Lots have changed in the new ASP.NET Core world. From the project structure to the hosting model to the improved Razor engine, the Microsoft team introduced a slew of changes that is more apt for modern web development geared toward the cloud. One of the big changes is the configuration model. In a non-core ASP.NET project, we store configuration settings in the appsettings section of web.config. This is no longer the case in ASP.NET core projects. In this post we will take a detailed look at the new configuration model. In ASP.NET Core, all functionality comes in NuGet packages. This includes configuration. In a non-core ASP.NET project, the web.config file (with the appsettings section inside) is available and ready to use from the beginning. In an ASP.NET core project, configuration functionality can only be used if some specific NuGet packages are installed. Microsoft.Extensions.Configuration.Json - for enabling configuration sourcing from JSON files. Microsoft.Extensions.Configuration.EnvironmentVariables - for enabling configuration sourcing from environment variables. Microsoft.Extensions.Configuration.UserSecrets - for enabling working with user secrets. Fortunately, all of these packages are already referenced when going through File > New > Project > ASP.NET Core Web Application using the Web Application template. Let's look at how these packages are used. In a non-core ASP.NET project, all startup code are located in Global.asax.cs. In ASP.NET core projects, Global.asax.cs is gone. Instead, all startup code are now located in a class called Startup.cs. This is a class that, by convention, the framework will look for when starting the application. Let's take a look at this section in more detail. Dependency injection is "baked in" in an ASP.NET Core web application. There is no need to install a separate package for dependency injection, though you can use one if you wanted to. In addition, most of the components that make up the ASP.NET Core project are available for injection. This includes the component IHostingEnvironemnt, which we see being injected in the constructor. The ContentRootPath property of IHostingEnvironment returns the root of the application folder. That is, it returns the folder where the project.json file is located. This is important because we will be placing our JSON configuration file/s in the root folder as well. Another interesting member of IHostingEnvironment is a method called IsDevelopment(). This returns true if the environment is Development and false otherwise. Speaking of environments, there are also IsStaging() and IsProduction() methods, which return true if the environment is Staging or Production, respectively. There is also a catch-all IsEnvironment() method which takes an environment name as a variable. The ConfigurationBuilder class lives in the Microsoft.Extensions.Configuration namespace, which is a dependency of both Microsoft.Extensions.Configuration.Json and Microsoft.Extensions.Configuration.EnvironmentVariables. Although that package is not referenced directly, it was still brought down because at least one package that was referenced directly had a dependency on it. The goal is to get an instance of a class implementing IConfigurationRoot, which knows how to read values from different configuration sources. To achieve this goal, a series of extension methods chained together using a fluent syntax are used on top of a new instance of the ConfigurationBuilder class. The first method to be called in the chain is SetBasePath. This method tells the framework where to look for configuration files. Passing the env.ContentRootPath as the parameter tells the configuration root to look for configuration files in the root of the folder, as we discussed earlier. Next, there are two calls to AddJsonFile(). These methods don't actually add JSON files; rather, they tell the configuration root to look for configuration settings in already existing JSON files. The JSON files have to be added manually. In the ASP.NET Core Web Application template, there is already an appsettings.json file that's been added for us. This is a regular JSON file with a hierarchical key-value structure with some default values already populated for us. Later we will see how to get configuration values from this file, but I want to talk about how this format compares to the appsettings section we would find in web.config. I believe the advantage of this format is that it allows nested configuration values, which makes it easier to see which settings are related. The AddUserSecrets() is the next to be called, but only if the environment is development. We will delve into user secrets in more detail later. But the gist is that user secrets provide the ability to access secret configuration settings in a development environment. The calls to AddEnvironmentVariables() and Build() finish off the builder. 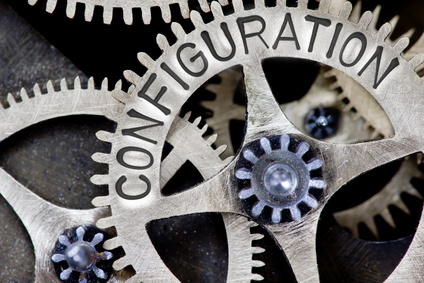 The configuration root can look for configuration information in many different places and the AddEnvironmentVariables() method tells it to look for configuration sources in the environment variables together with any previously set configuration sources. The intent is for environment variable values to win over any appsettings.json values with the same key. That is, if configuration values are set both in appsettings.json and in environment variables, the application will use the setting from the environment variables. That is why the call to AddEnvironmentVariables() was made at the end, after the calls to AddJsonFile(). Calling the Build() method finalizes construction and returns an instance of IConfigurationRoot. The instance is then saved in a property to make it available to the rest of the class. The IConfigurationRoot interface provides methods to access configuration values. In fact, it is already used in a couple of places in Startup.cs. We see the connection string being accessed inside the ConfigureServices method by means of the GetConnectionString method. That method looks for a key named ConnectionStrings in the configuration source and returns the value matching the key passed in as a parameter. So, calling GetConnectionString("DefaultConnection") returns the value of DefaultConnection under the ConnectionStrings section. Environment variables are another possible source of configuration values. These are values that are not stored in the JSON file but are stored on the machine. In Windows 10, for example, you can view and edit the environment variables used by the operating system by searching for "Edit the system environment variables". Environment variables can be accessed using the same GetSection method used to access configuration values from JSON files. To demonstrate this, let's access the environment variable representing the environment (ie. Development, Staging, or Production). What is a user secret? It is a sensitive piece of information that you don't want to store anywhere in code or in source control. Examples of user secrets are third party keys, connection strings, or any information that could be a security risk if accessed by a non-authorized entity. Instead of being stored in source control, user secrets can be set as environment variables on the host where the web app is deployed. There, they can be accessed just like any other environment variable. Microsoft provides a tool to easily work with user secrets called the Secret Manager. This tool is handy when working in a development environment. In order to use this tool, the package Microsoft.Extensions.SecretManager.Tools should be listed in the "tools" section in the project.json file. This tool should already be listed when using the ASP.NET Core Web Application project template. Running that command should show the version that's installed as well as usage, options, and available commands. If the tool is not configured yet, running that command will install and configure the tool for you. User secrets can be accessed again through the GetSection method. In this post we saw the new configuration model in ASP.NET Core web applications. Configuration functionality is made possible by a collection of NuGet packages working together. Configuration sources include JSON files, environment variables, and the user secret store.